Most people, especially those in the pet or pet insurance industry, know of the Japanese dog breed the Akita, which is one of several breeds native to Japan. 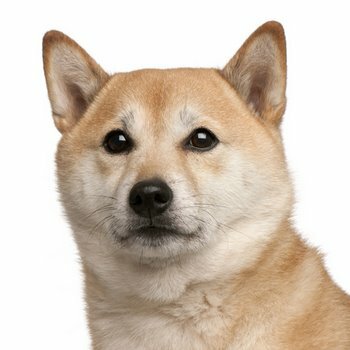 The Shiba Inu is less well known. The Shiba is the smallest of the Japanese breeds, the males standing just 14 to 16 inches and females, 13 to 15 inches. When thinking of acquiring any breed of dog, it’s wise to do your research, especially concerning pet health issues particular to the breed. It’s also a good time to research and compare pet insurance if you are concerned about vet costs. The Shiba Inu is described as a small, compact dog with head proportionate to his body. He has a rounded, shorter muzzle, deep-set eyes and erect ears. The tail is thick at the base and curled up over the back. The Shiba’s coat is very dense and comes in red, red with a black overlay, black with tan markings and all have a cream/buff or gray undercoat. Although they are very solid dogs, their weights are relatively low—18 to 25 lbs. for males and 15 to 20 lbs. for females. Shibas are described as very alert, intelligent, and loving. Most owners say they are fairly easy to train. One particular trait stands out—the Shiba likes to be clean and is fastidious about it. They are quiet and become close to their handlers. Healthy, grounded Shibas are good with children and other pets. Although they are often bold, they can be very shy around strangers. It is very important that the owner take the pack-leader position because the Shiba can be stubborn. The Shiba Inu is prone to hip dysplasia and slipped kneecap (patellar luxation). When talking to breeders, be sure to ask about the health of both parents and even grandparents if possible. And while most dog health insurance companies won’t cover congenital issues, be sure to invest in the best pet insurance for your pet.